Two teams from IIT Chicago-Kent College of Law will go against teams from many of the country's top moot court programs in the 2014 Evan A. Evans Constitutional Law Moot Court Competition March 28 to 30 at the University of Wisconsin Law School in Madison. 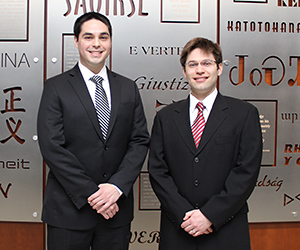 Second-year students Michael Albert (left) and Vincenzo Chimera will compete on one of the two teams representing IIT Chicago-Kent at the 2014 Evan A. Evans Constitutional Law Moot Court Competition. IIT Chicago-Kent is the defending champion. Last year, the team of Zeke Katz '14 and Jack Marshall '13 won the overall competition and the award for the second-best respondent's brief. IIT Chicago-Kent won back-to-back championships in 2008 and 2009. In 2009, IIT Chicago-Kent also won awards for the best respondent's and petitioner's briefs. This year, students will argue In Re: Grand Jury Subpoenas to Eva Tejón Dated June 24 and June 27, 2013. At issue is whether a journalist may invoke First Amendment privilege when refusing to reveal the identity of her source before a grand jury investigating the source of a leak of classified information. Also at issue is whether a journalist may claim Fifth Amendment privilege in her refusal to produce unencrypted contents from her hard drive. IIT Chicago-Kent will be represented on one team by second-year students Michael Albert and Vincenzo Chimera. Team member Michael Albert majored in political science at Indiana University. Teammate Vincenzo Chimera graduated from Carthage College in Kenosha, Wisconsin, with a major in political science. They are coached by third-year students Jake Berger, Colleen Nickel, and Scott Lechowicz. 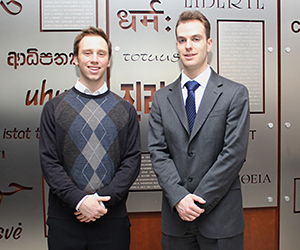 Second-year students John Chambers (left) and David Repking will compete on the other IIT Chicago-Kent team participating in the 2014 Evan A. Evans Constitutional Law Moot Court Competition. Second-year students John Chambers and David Repking will comprise the other team. John Chambers graduated from Harvard University with a degree in government. Teammate David Repking earned a bachelor of music in violin performance at Vanderbilt University and a master of music in violin performance at the Cleveland Institute of Music. The team is coached by third-year students Stephen Pauwels and Zeke Katz, a member of last year's championship team. 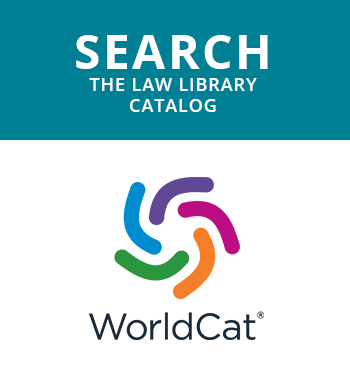 The competition is named for Judge Evan A. Evans, an 1899 graduate of the University of Wisconsin Law School who served on the U.S. Court of Appeals for the Seventh Circuit from 1916 to 1948. During his years of private practice, Judge Evans was noted for both his brief-writing and his outstanding oral advocacy skills. 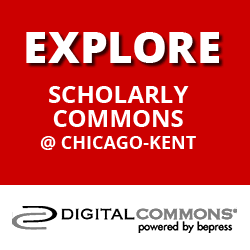 Founded in 1888, IIT Chicago-Kent College of Law is the law school of Illinois Institute of Technology, a private, Ph.D.-granting institution with programs in engineering, psychology, architecture, business, design and law. 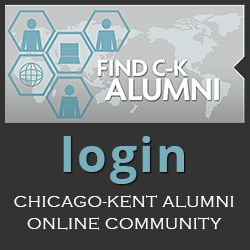 IIT Chicago-Kent is the only law school ever to win the National Trial Competition and the National Moot Court Competition in the same year (2008), and the first school to win the National Moot Court Competition in two consecutive years (2008 and 2009). 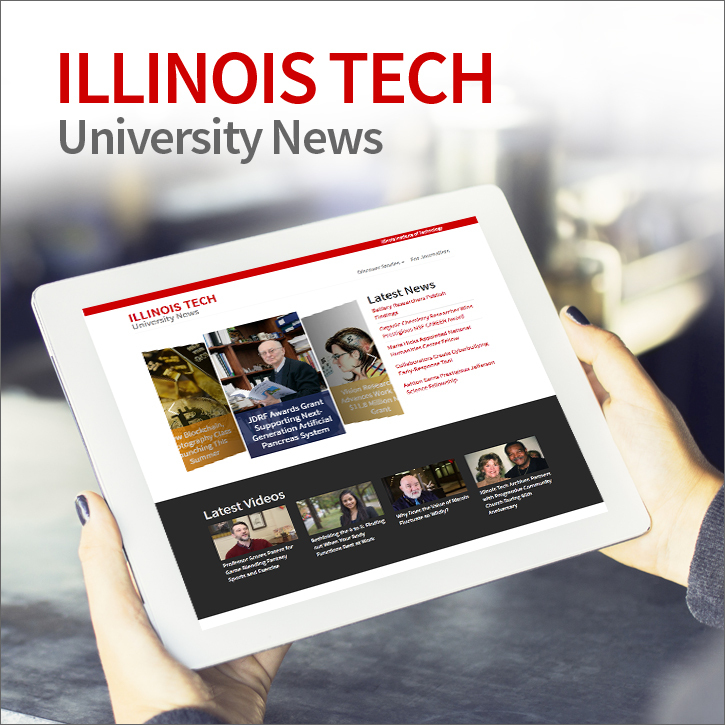 Check out Illinois Tech's University News site for stories, videos, podcasts and more about what's happening at Illinois Institute of Technology.